The Management Committee of the ABF recognises that the identification of experience levels of overseas players can be fraught with supposition. This paper aims to provide a short précis of how club/event administrators can ensure that these players are categorised appropriately when they play their first events in Australia. It would be our suggestion that, following input from David Anderson, the ABF Masterpoint Coordinator, or from your own State Masterpoint Secretary, your club seeks to “lodge” the player at a level commensurate with their skill level. We suggest that you ask the following questions prior to setting that level. Of course this will need to be conveyed to the player to ensure that they concur with any decision made. 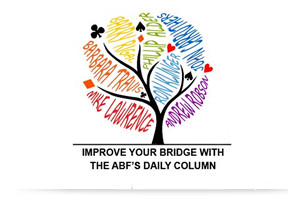 Are you now, or have you ever been a member of another national bridge organisation – such as the ACBL, EBU, NZCBA etc? If so, could you please advise how many masterpoints you earned with that organisation – or what rank you achieved? Can you recall what your membership number was with that organisation? Once you have received a response to the above questions, ask your State Masterpoint Secretary to set the masterpoint level of the player – or seek that information from David Anderson at revoke1@live.com. David will reply to your email promptly and may ask to question the player further in order to reach a decision. We are confident that overseas players will see the benefit of having their experience acknowledged, rather than starting at zero level again. This is especially relevant to the number of New Zealand players who are now competing in our events in Australia, where they are given a Foreign Player number in our Masterpoint Scheme which identifies them even if they do not wish to migrate to Australia. It would be appropriate to ensure that the better experienced players do not have an opportunity to compete in our Novice and Restricted events.